Hey dog better not run! Better go fetch this deal while it lasts! Throw them a bone for their cleverness at least. Does it come in a size for a cat? @Rueki doesn’t look like it. Small only goes down to 10lb min. 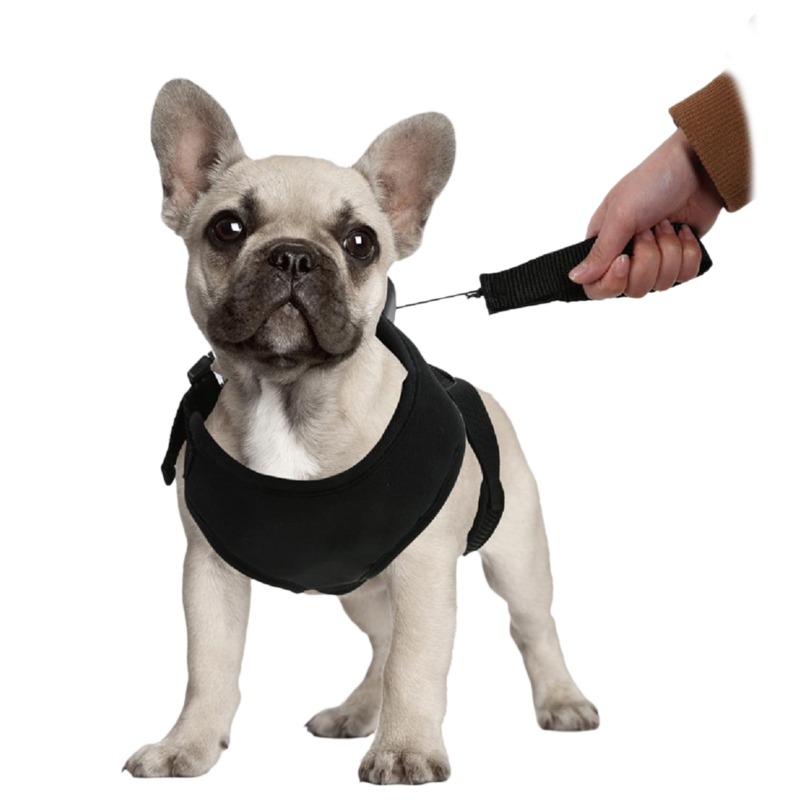 I know they’re very common, but these retractable leashes can be dangerous not only for you and your dog, but for other dogs who interact with yours. @DaveInSoCal Care to elaborate? I have used retractable leashes for many years with zero issues. I could see how they could be dangerous if you were an irresponsible and aloof dog owner. @DaveInSoCal @lwheatcraft the one issue I can see with this one is that it doesn’t seem to have a way to lock. Of course it’s not very long either so it’s not like a non-lockable 15’ leash. @lwheatcraft Here’s a pretty good list of the reasons. 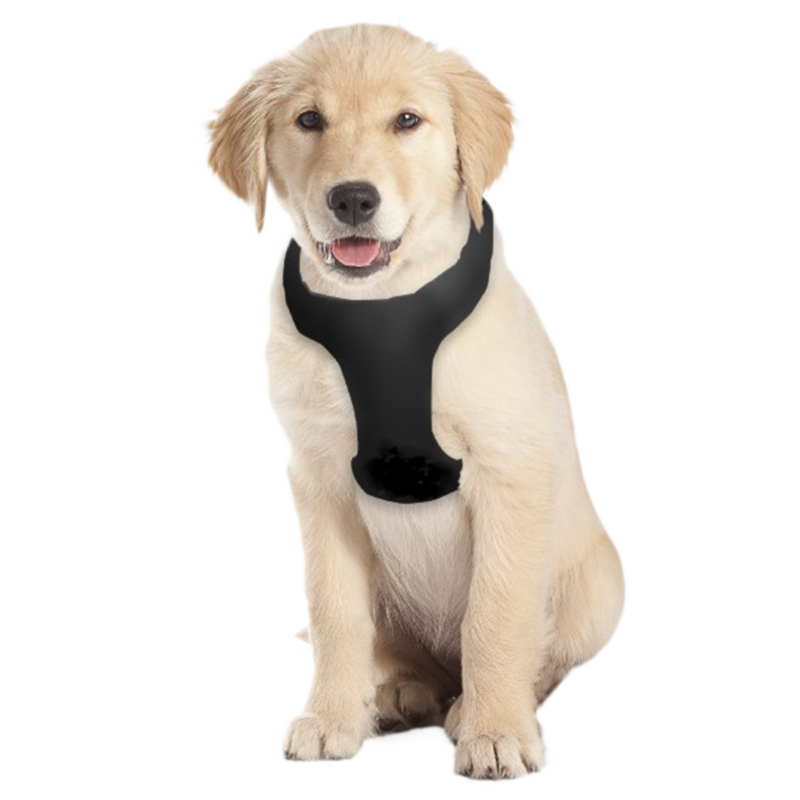 Primarily a lack of control in dangerous situations, and the leash itself can lead to increasing an already unsafe scenario. @DaveInSoCal @lwheatcraft After working for a pet store, I HATE HATE HATE retractable leashes. This picture is just one of many reasons I don’t like them. @DaveInSoCal And, you can poke your eye out if it snaps back. Was this just your excuse to post adorable dog pics? How does this thing stop bullets? Pretty sure all those dogs are photoshopped with the harness on. @gwaki I noticed this too, they can’t get photos of the actual product on actual dogs? actually? @gwaki That’s what I was thinking. If I notice it’s photoshopped it’s a pretty bad job. 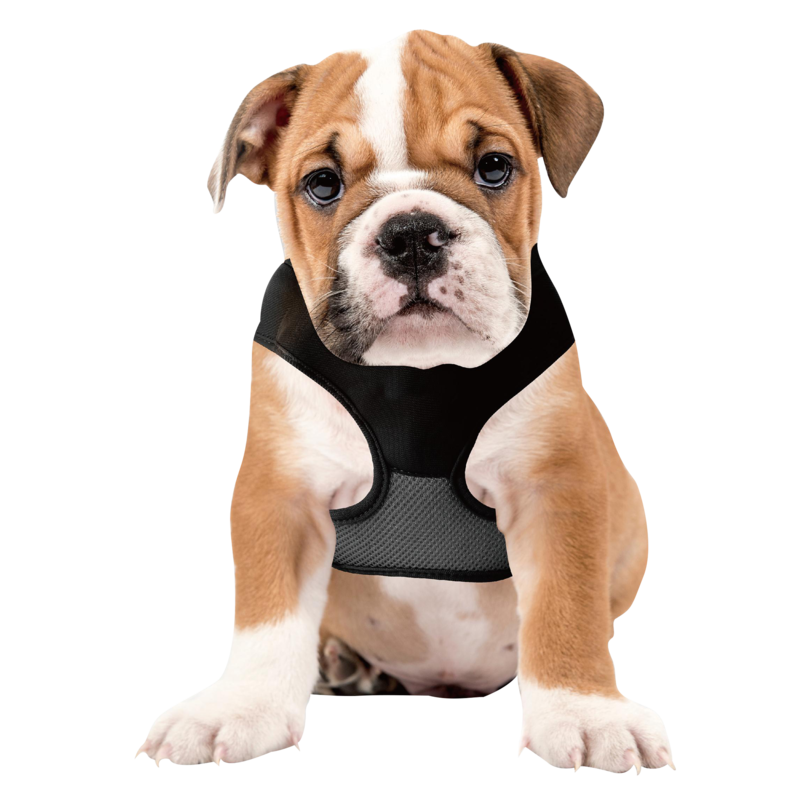 You called that pic “ugly pup in harness”? For shame! That dog is adorable! @bramby2 Irk-dog spelled backwards is God-kri! Now I know the name of he-that-destroyeth-the-world will be called in the future apocalypse. @squishybrain He does have an adorable—but slightly world-ending—look about him, doesn’t he? So if I take my (❍ᴥ❍Ʋ) to the park and have this on can he just run around with it if I let go? Thanks for replying, I was genuinely confused. @spiciernoodles Yes. 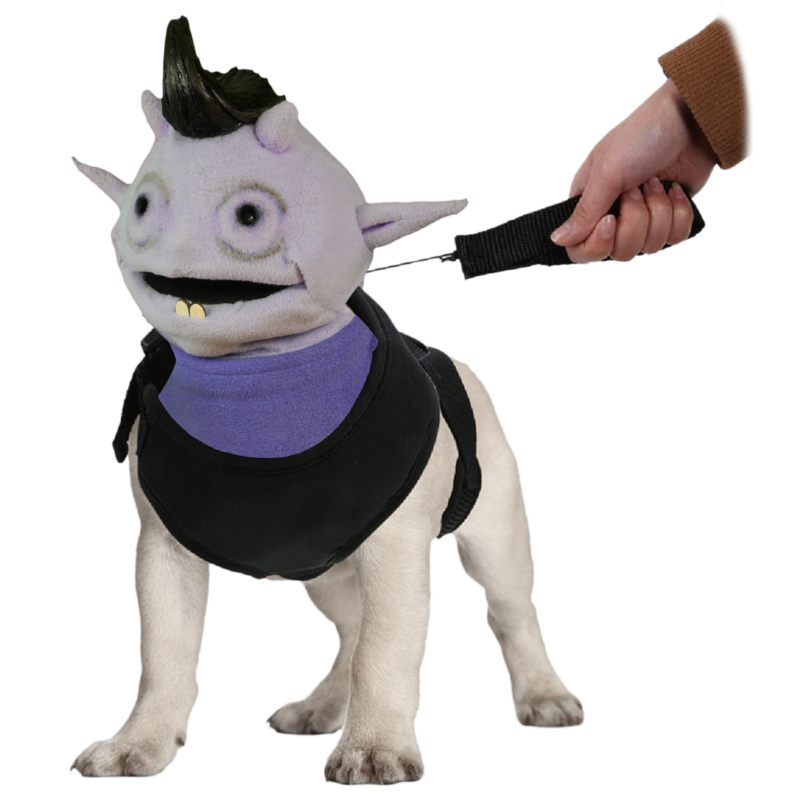 The leash handle is magnetic and you just leave it on the dog and let them wear it all the time. 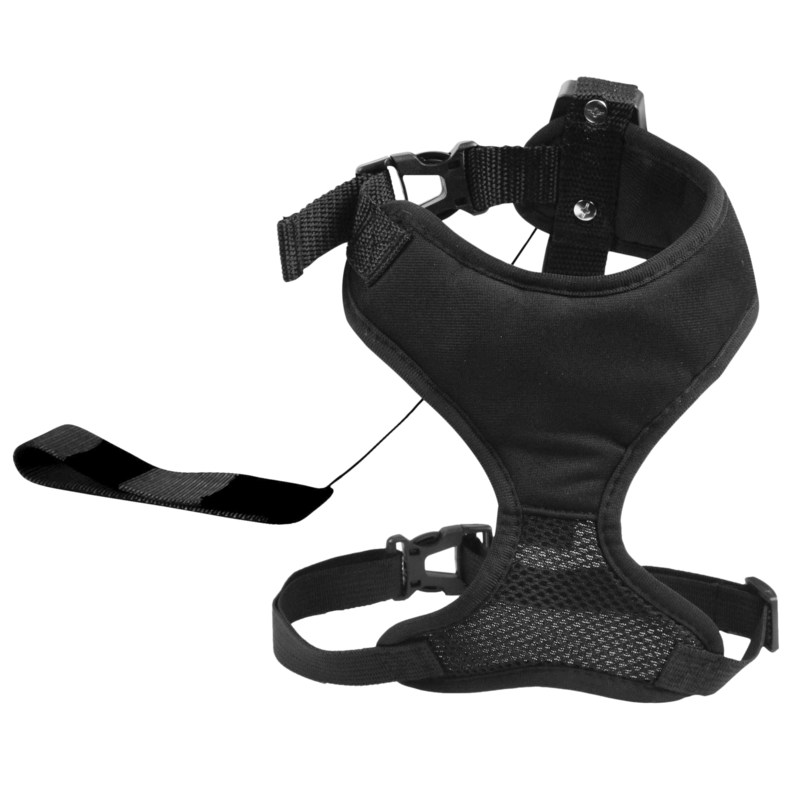 That single, bare thread of a leash instills confidence in this harness. Or not. Meh. @Rossome That handle also seems useless and looks to be prone to shredding, just look at the pictures with the dogs where some of the handle’s threads are dangling. Well, seems like a good use of my VMP. If I don’t like the harnesses, I’ll donate them to my local dog shelter. looks like it will last thru one squirrel spotting and that string will snap. Can this be used on human children? I would like my dog to be able to safely take my 11 and 8 year olds on walks and I am looking for options. You think the small would be good for a fat chicken? I got 6 fat chicks at my house and I want to walk them around my hood. @SisterFister If attempted, you must post a photo here! But where do you get a retractable dog? A straight jacket for a dog? Maybe if my dog was named Houdini. @eazyrider agreed, vmp or get no monies. Legitimate question: will these fit toddlers? 2 for Tuesday… on a Monday? Literally can’t find a real review on these things. The only negative I can find is that dogs might be uncomfortable laying on the box holding the leash part. So when the handle slips out of my hand the leash will retract as my dog runs off into the wind? No thanks. His inability to not pee on everything thing with a leash dragging behind him is my only chance at catching him. All for posting pictures of doggos but could there be a couple different perspectives of the product? Would be nice to have an above, behind dog view and one of more detail of where the leash connects to the harness. 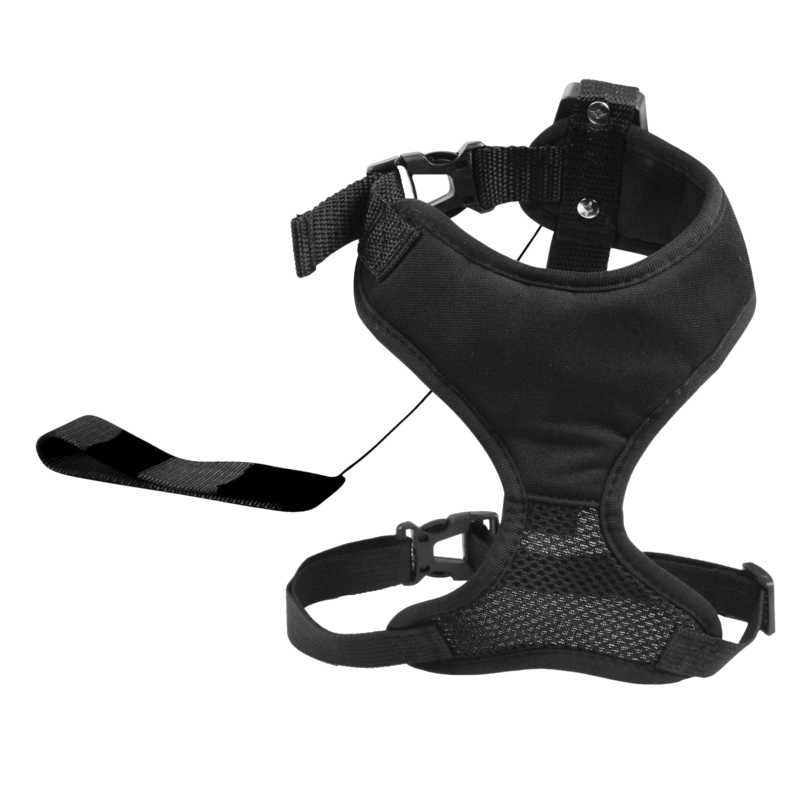 Though the harness kind of looks like cheap garbage so probably a good reason for hiding a better view of it. It seems the harness version is ONLY for small dogs. @TBoneZeOriginal And not REALLY small dogs. My Nellie doesn’t even make five pounds. 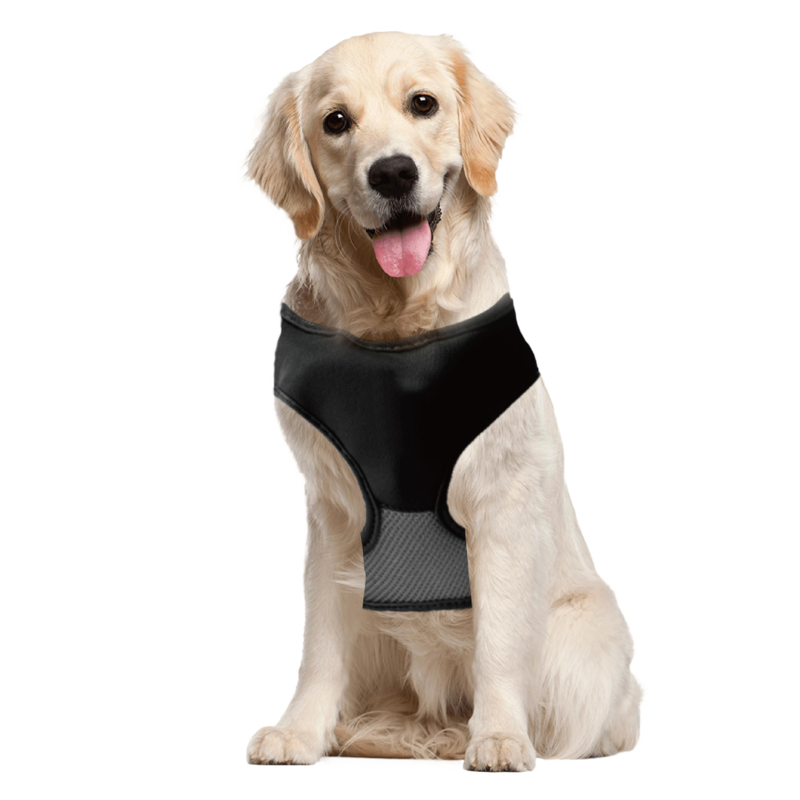 @lyoness So this thing is made for the Goldilocks of dogs then. @TBoneZeOriginal thanks for posting this. Because I watched this, Google opinion rewards asked me some questions and gave me 49¢. @RiotDemon Unintended benefit! High five! The leash is a STRING? Ha, great way to get your own exercise - chasing your dog after the string - er, lead - breaks. In for none. So these attach at the shoulder and not the chest? I have a 70lb lab that could pull a dumptruck up a mountain with a shoulder connect. A chest connection allows you to turn the turn the dog… shoulder connection gives them all the power. Hard pass. Unless you throw in some fashionable pajamas. @capnjb thanks for this info. A chest connection might be what my Roux needs, she’s only 45 lbs but will pull anything less stubborn than her. @djslack when I was training my dog on a leash I used a head halter. Worked great. Just like a horse’s. @djslack @RiotDemon We tried that. Brown dog wasn’t a fan. BWAHAHAHAHAHA - I wouldn’t put an arthritic Corgi on this piece of fishing line. What utter garbage. Dog tax - here’s my adorable Max! @Pufferfishy You don’t have a pic from the more adorable end? But, FWIW, I totally agree with your analysis of the product. @Pufferfishy Hello Max! Beautiful! I much prefer this end! Is it just me or do these photos look like they photoshopped the harness on the dogs? Since I criticized another, I should show mine. @jelliott04 YIKES! didn’t remember that the pic was so big! Sorry. Also, forgive the foreshortening of his legs from the lens parallax. He’s built like every other big dog. @jelliott04 I have no regrets about my giant image. MWUAHAHAHAHAHAHAHA! My dog has done fine without a sports bra so far, I think we’ll pass. Oh yeah, that’s exactly what I want for this hellfire summer heat, a vest to go over my fur coat! Wait. Is that a recoil starter on that thing? Nope, I need push-button start. Those are some really bad photoshop jobs… couldn’t anyone find a real dog to put them on? In for a pair for my two furbabies. I am sorry, but I cannot use a string on either of my dogs… My Pit Bull actually destroyed what appeared to be a substantial Harness. Wasn’t so much after he charged the fence… It was shocking. He has a better one now, and we have a fence back up Finally after Harvey. He uses a VERY Strong leash… String? UMMM, Not so Much… VERY Meh, except for the price. Always spending money on some kind of crap on the internet. @olivevoil Did you know you hung out in a comix for TEN YEARS before that sailorman Popeye came along? Ifn’ it aint one thing it be 'nuther, amiright? wow. i just lost a day somehow. I was expecting to see garbage bags, and I was gonna request posting them all week. I can’t believe i lost a day somehow. weird. is there a dog-to-human conversion measurement chart for these? Just wanted to post a comment in-case these come back up for sale again. They are complete and total garbage, the large barely fits my 60lb dog, There is no place to attach a real leash and the attached retractable one is feather weight, slick and hard to grasp. We didnt even make it out the front door before my dog pulled hard enough to break the clips that hold it together. 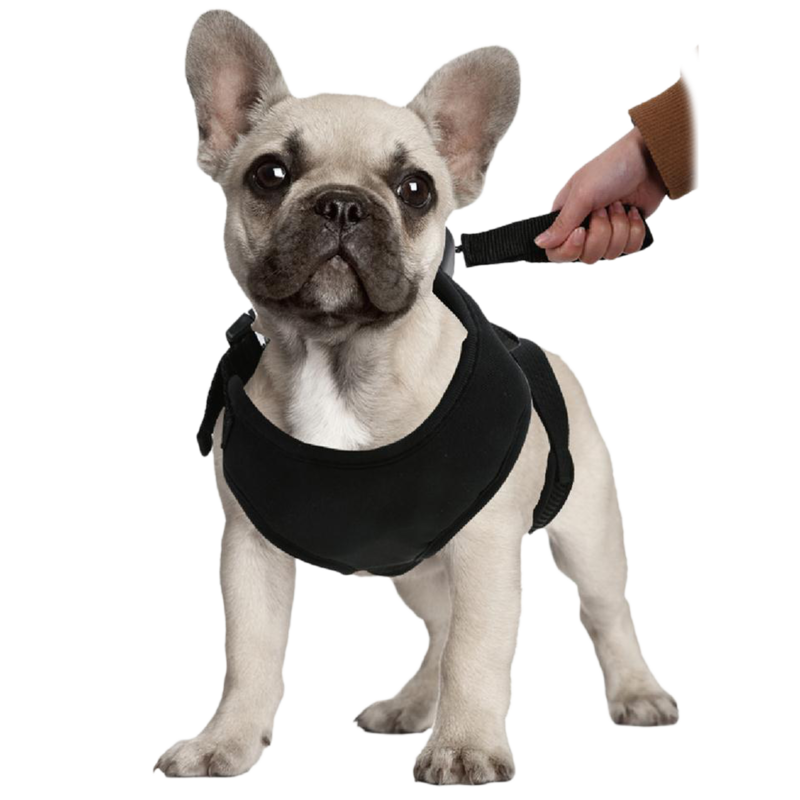 If you have any dog larger than a hamster, or a dog with more energy than a slug then this harness is completely impractical and useless. @Ebrake Did you try it on grand-children?